Snow has been an all too common theme for many teachers around the world over the last few weeks. Whether you’ve been planning your snowball attack strategy, or cursing the inconvenience, we’ve put together 10 topical lesson plans to take advantage of the season – whatever the weather! 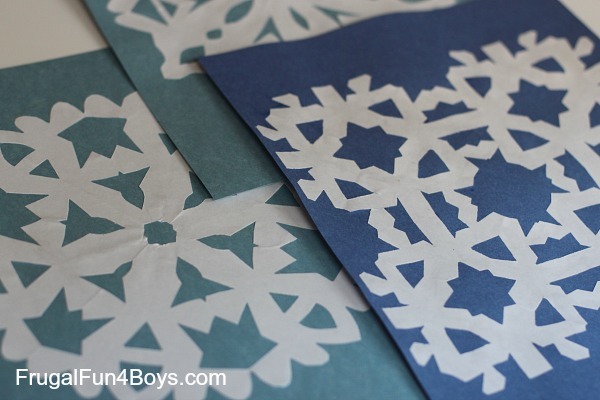 Imagine if you could make snowflakes last a little longer so your students could study their colour and structure. Well now you can! Click on the link to find out how. A fantastic activity for K-5 class and/or as an addition to a biology lesson unit on the effect of the cold on animal habitats. 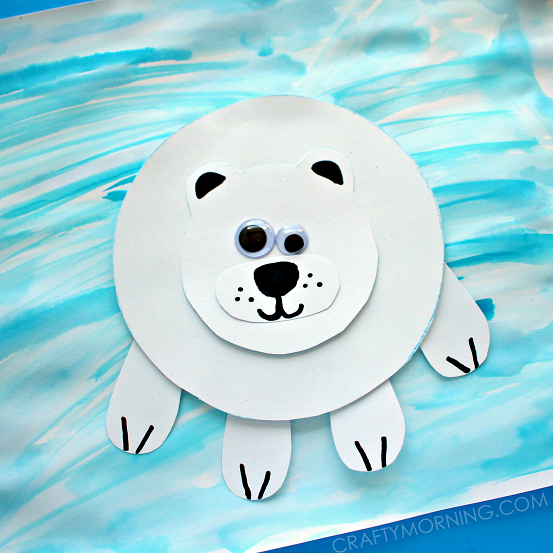 A polar bear or snow owl? Let your students decide which animal to make. How many different shapes do snowflakes come in? How many corners do they have? 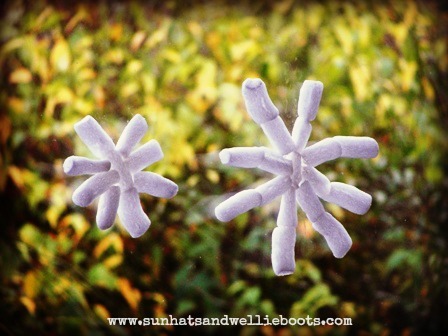 After studying them in details (see ‘How to study a snowflake’ above), try making your own! 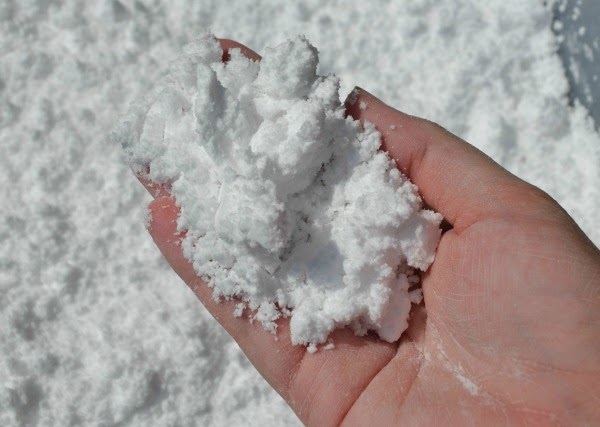 If you live in warmer climes, you’ll be pleased to know that there are countless ways to make snow at home. Try this baking soda recipe (add few drops of vinegar to them and watch the magic happening! ), or this paper and soap one (mould it into any shape!). 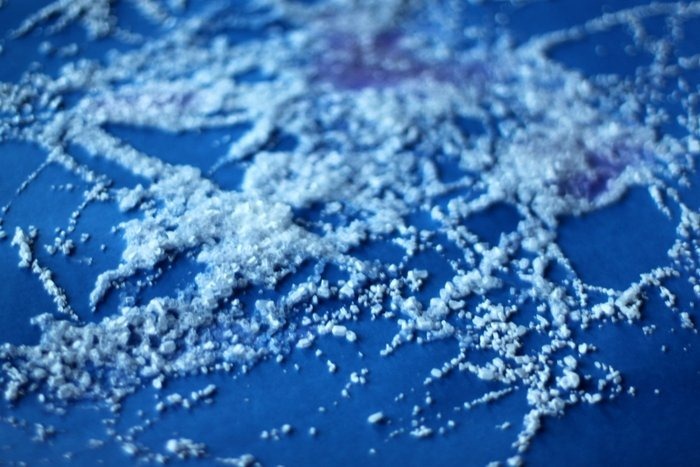 You can also experiment with various techniques and materials to find out which one of them will make the best snow crystals. Learning about triangles, circles and rectangles can be fun, too! What shapes and structures can you spot in snowflakes? Recreate them with simple cut-out paper blocks or recycle some packing noodles and see how many you can make! What is the sound of snow? How do snowflakes fall down? What is a snow blizzard? How does your body react to colder weather? Answer these questions with your students during this fun dance class created by Erika Cravath. 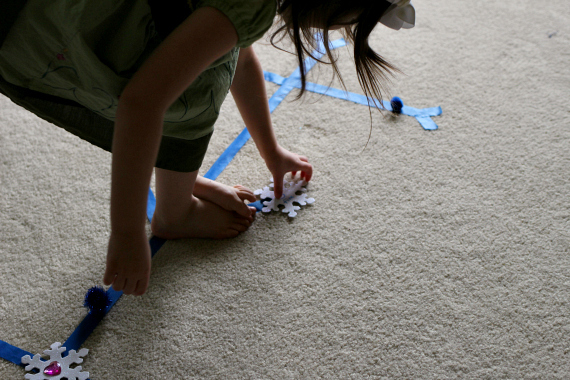 Get your students moving and combine arts, math and motor skills development in this fun activity! Suitable for ages 5-8. This activity may involve leaving your classroom and venturing out into the snow, but it will be equally enjoyable for both younger and older kids! See if you can spot any animal tracks around your school (not sure how to start? Try these tips from Parenting Science website) and try to imitate the shapes by moulding them in this edible and child-proof playdough. Another great lesson plan which combines art with math and a bit of science, too! Teach your students about ice, make a ice fishing station with them and prepare numbered fish to catch using this template. Hours of fun guaranteed! Use glue and salt (table or Epsom, or both!) to make a simple paint to begin with, and the let your students experiment with shapes and structures.